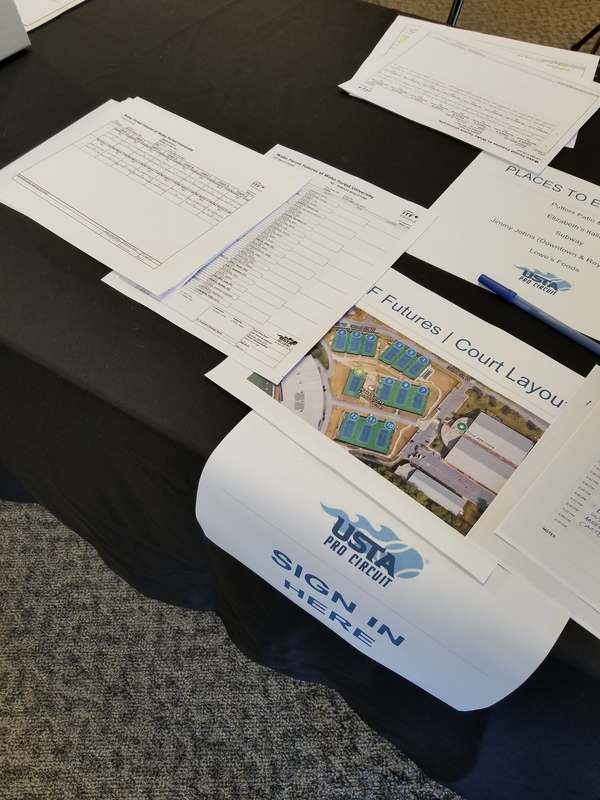 The USA F19 Futures, the first of two back-to-back $25,000 ITF Pro Circuit Futures tournaments, is being held at the Wake Forest Tennis Complex this week. As with the previous two years, we are providing the stringing. And already some notable differences are emerging. The stringing so far is down considerably. 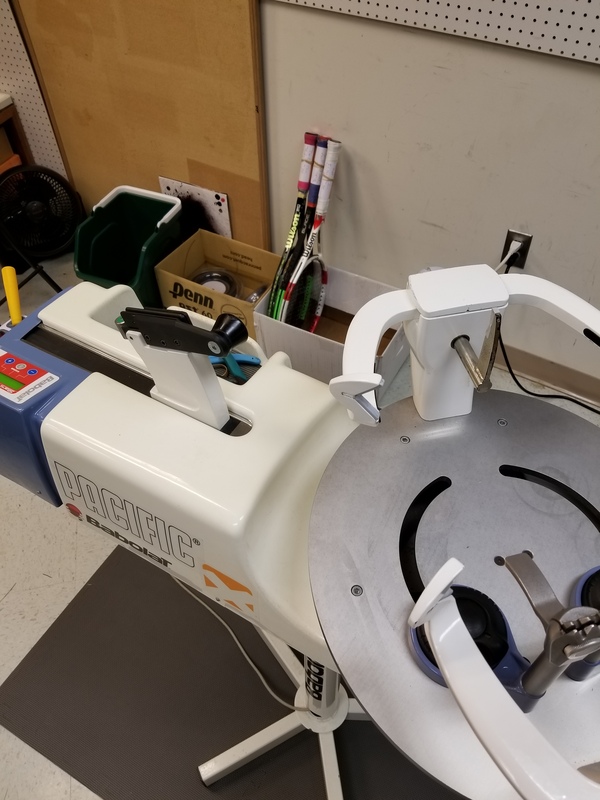 Last year we did 22 rackets on site Friday, in advance of the first round of qualifying, and held over 9 rackets to be strung Saturday morning ahead of play. So, 31 total rackets before the first round of qualifying. This year I did only 14 rackets Friday with none held over, and 3 rackets came in Saturday morning for matches. So, 17 total rackets. 2016 Day 2: I strung another 22 rackets. 2017 Day 2: 10 rackets. So, through the first two days in 2016 our total was 53 rackets. Our two day total for 2017 is just 24 rackets. In 2016, 15 of 52 players in the first round qualifying had rackets strung on site (29%). This year, a smaller number in a larger draw (13 of 64) had rackets strung for the first round (20%). The success rates of those who had rackets strung this year is not what it was last year either. In 2016, 11 of the 15 guys who strung for the first round of qualifying won (73%). Only two players who had rackets strung for their matches lost to someone who did not have a racket strung on site. In 2017, the record of the 13 players who had rackets strung on site for their first matches was 7 wins and 6 losses (54% success rate). Of course, these are only two data points and even then they only tell part of the story. Players can have their rackets professionally strung at home or off-site, of course. But as someone who believes that stringing matters, I like to see what the data (even if incomplete) show. One additional variable this year is an increase in our charge for stringing. For the first two years of the tournament, we charged $16 a racket, which I thought was more than fair for the quality of service we provided. Especially hearing players complain about the poor quality of stringing at other Futures events where they were being charged for $20 a racket. In respect of our own time and effort and the quality provided, we went to $20 this year. Once the main draw players arrive, we’ll see how elastic stringing prices are. I hope we didn’t shoot ourselves in the foot economically! It’s hard to believe that 2016 was the 9th year in business for this hobby-gone-mad, and between racket stringing and customization our busiest year ever. All told, we’ve strung nearly 13,000 rackets since 2008, in our spare time, which is hard to fathom. Highlights of the year begin and end with the Wake Forest men winning their first Atlantic Coast Conference championship. So much hard work by so many people went into that championship and we are so proud to have played a part. 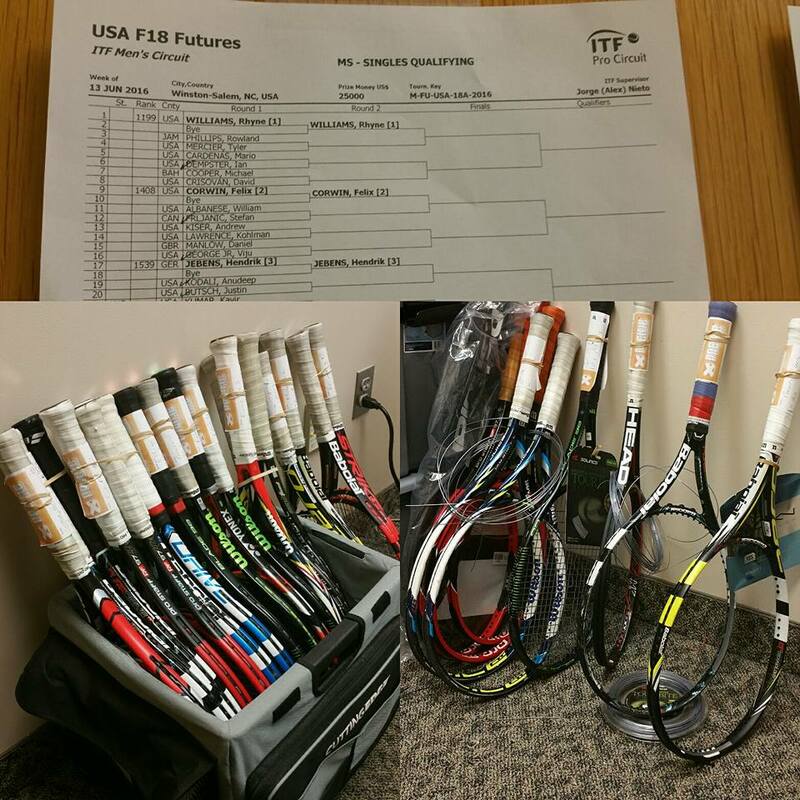 We also did the stringing again for the ITF Pro Circuit Futures of Winston-Salem, which was upgraded to a $25K event for 2016. 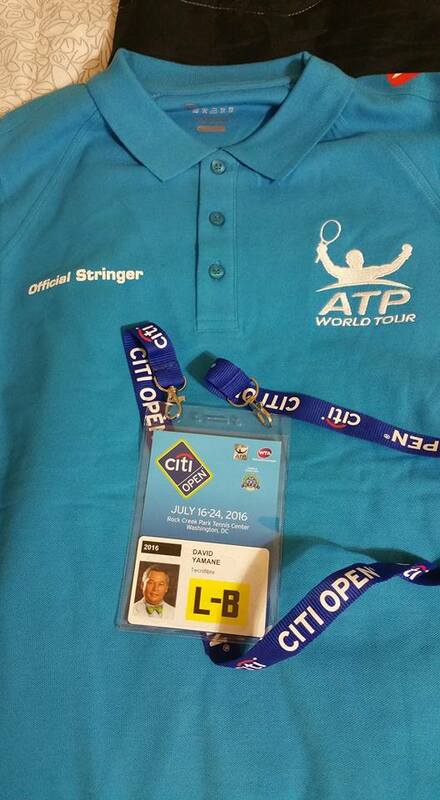 And the ATP World Tour/WTA Tour Citi Open in Washington DC. 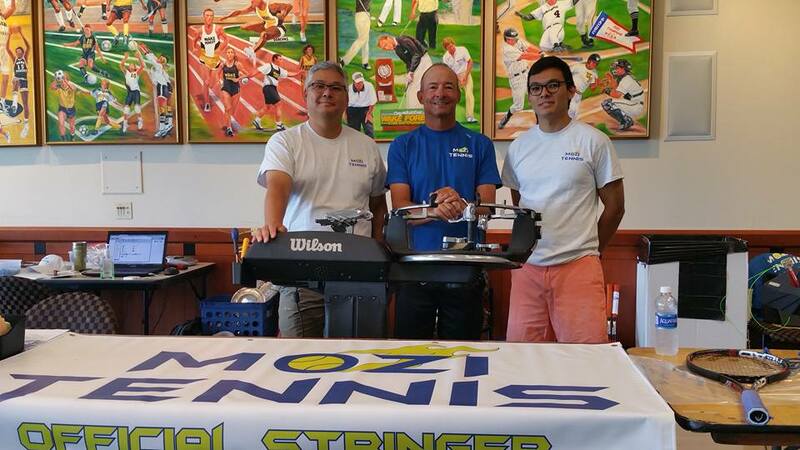 Last, we always enjoy working as the part of the MOZI Tennis stringing team at our hometown ATP World Tour Winston-Salem Open. 2016 was special because we were given the responsibility of managing the stringing service. 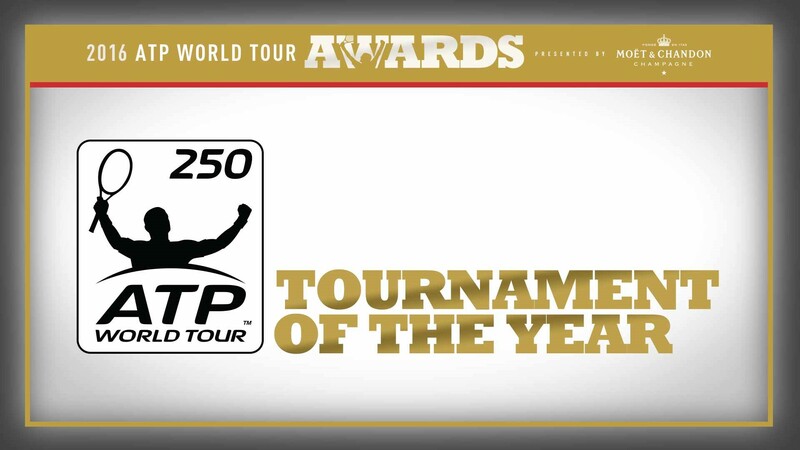 We learned recently that the Winston-Salem Open was voted by ATP Tour players as 250 Tournament of the Year! In my 2015 Year in Review, I concluded by saying it was hard to imagine 2016 being as great as 2015, but I do believe we were able to exceed our own expectations. 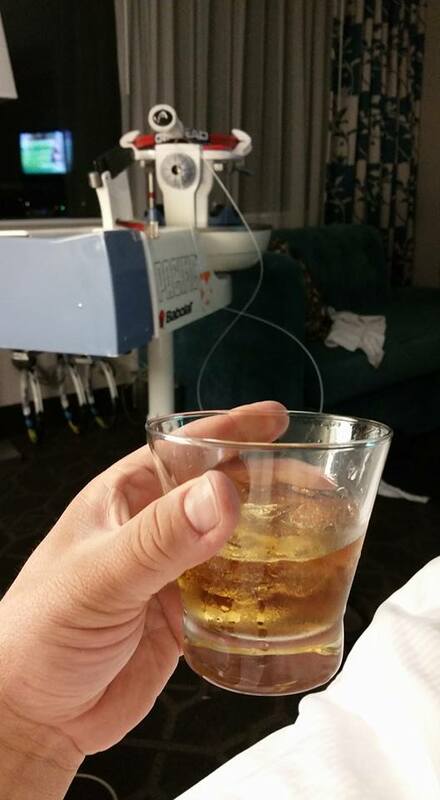 I won’t make any predictions or promises for 2017, but just say CHEERS! to a great year. At last year’s $15k Winston-Salem Futures, three racket companies dominated among the players. Together, Babolat, Head, and Wilson accounted for 81% of all the rackets I strung (recall not all players in the tournament strung with me). Babolat remained steady at 1/3 of rackets (same as last year), but Wilson overtook Babolat as the #1 racket, riding the success of the Blade. I am really surprised to see Head not making more inroads with Djokovic and Murray as key endorsers and the Prestige being a classic player’s frame, but perhaps the overabundance of American players in the tournament (and paucity of Europeans) explains Head’s low numbers. It’s good to see more male players using Yonex. I used to sell Yonex rackets and they were far superior to the big 3 in my opinion. The rise of Wawrinka and Kyrigos to replace Hewitt and Nalbandian is good for the company. We are down to four players here at the ITF Pro Circuit/USTA Pro Circuit Collegiate Series Winston-Salem Futures. As each of the semi-finalists only strings one racket a day, It’s going to be slow here for me today and tomorrow. Yesterday, Georgia Bulldog Emil Reinberg’s Cinderella story came to an end in a tough 3 set lost to top seed Sekou Bangoura. It will be interesting to watch his progress as the summer goes along. People used to say — and I actually still say — that John McEnroe and anyone is the world’s best doubles team. 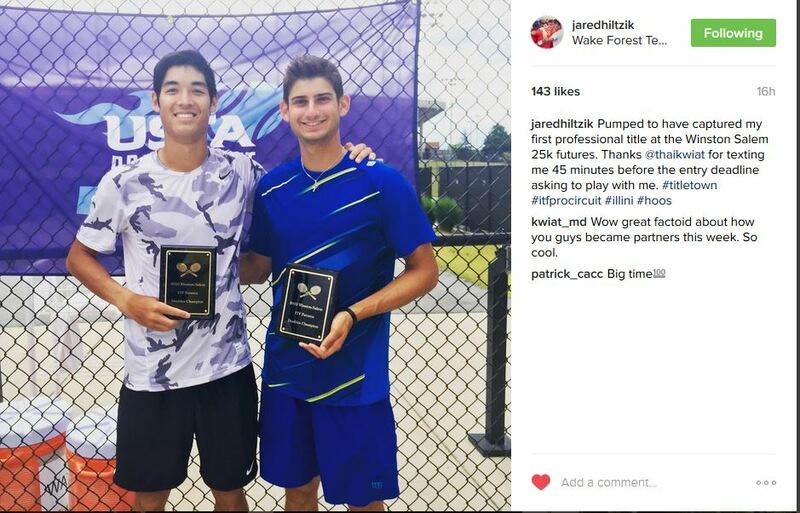 Virginia’s Thai-Son Kwiatkowski is staking a claim for that title on the Futures circuit,having won the Charlottesville Futures doubles crown last week with his teammate Mac Styslinger and teaming up with recent Illinois grad Jared Hiltzik to win the doubles this week. 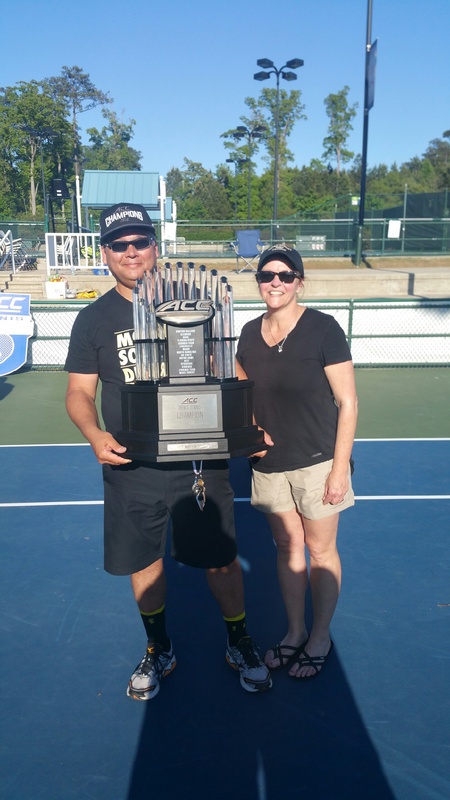 Although only one of the four played college tennis — Bangoura at Florida — their ages show that there are many years of professional tennis to be played for those who choose to play college tennis. The singles quarterfinals are set at the ITF Pro Circuit Winston-Salem Futures. 5 seeds and 2 qualifiers are among the 8. The two qualifiers are Rhyne Williams, whose career high ATP ranking is 114, and Emil Reinberg, a rising sophomore at the University of Georgia who earned his first ATP ranking points this week. Each of the quarterfinalists have earned 3 ATP World Tour ranking points, and 5 additional points are on the line for tomorrow’s winners. The finalist will earn 15 points total and the winner takes home 27 points. Depending on the number of tournaments played, 3 ranking points will land you anywhere from #1395 to #1530. 1 ranking point is world ranking #1723. 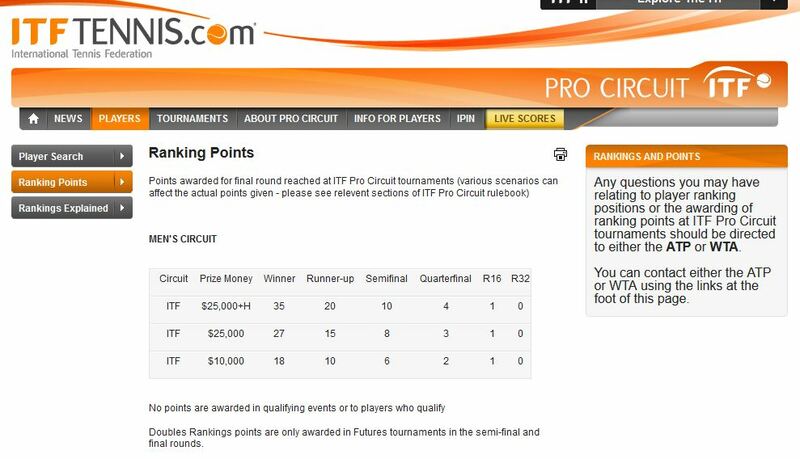 So, at the high end of the ranking scale, ITF Pro Circuit points don’t count as much as at the lower end of the scale. But winning a futures event can still make a big difference in a professional’s life. It has been interesting to see these current and aspiring professional tennis players chase — and sometimes catch — valuable ATP World Tour ranking points this week. It’s a lot different than the other two professional events I will string this summer (the ATP 500 event in Washington DC in July and the ATP 250 event in Winston-Salem in August), but no less dramatic.